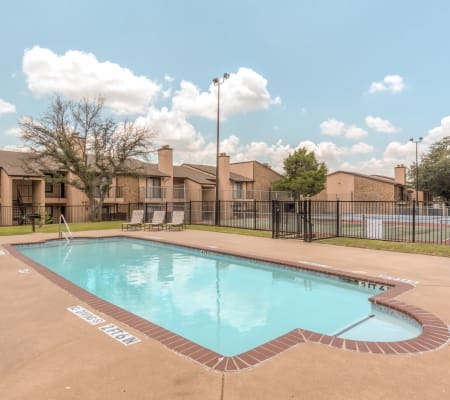 If you’re ready to jumpstart your life in DeSoto, TX, let The Corners Apartments welcome you home. 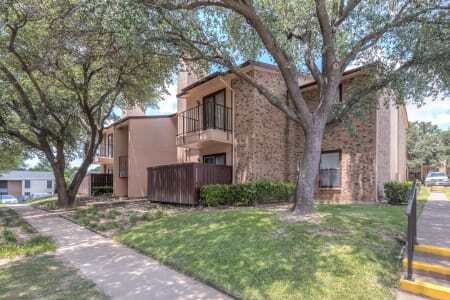 Choose the layout that works for you from our one and two bedroom DeSoto, TX, apartments for rent near Dallas. Our fabulous features and everyday conveniences set us apart from the competition. Take a swim in our sparkling outdoor swimming pool and work on your tan on the relaxing sundeck. For a more active form of recreation, meet your favorite partner for a friendly game on the community tennis court. To streamline your monthly bills, our community offers convenient online rental payments. Should you ever need assistance, you can always stop by the front office to chat with our professional on-site management team. In addition to our community amenities, The Corners Apartments defines affordable luxury in Best Southwest. With one and two bedroom apartments for rent in DeSoto, TX, you can enjoy clean design lines and modern conveniences. Your spacious floor plan offers a contemporary and inviting environment where you can truly unwind. To make relaxing even easier, each home boasts a beautiful in-home fireplace. In warmer weather, you can use the refreshing air conditioning and ceiling fans in your new home to keep you cool. Schedule your tour of the DeSoto, TX, apartments for rent near Dallas at The Corners Apartments today.